This event is full and will not be accepting walk-in registrations. Brian will share tips and advice to creating a strong working relationship, for both active and passive job seekers. Brian D. McCarthy is the Managing Partner and Director at 327 Solutions, Inc. He has over two decades of business experience and is a trusted partner in corporate performance connecting learning to business strategy through placement, consulting and training. He started his career in technology and training at an early age working at Berkeley Computer Training headquartered in Bala Cynwyd, a family founded and owned company with locations in Philadelphia and DC. Brian held multiple roles at Berkeley including technical trainer, operations management, network administration, inside sales, outside sales and others. Berkeley sold to The Judge Group in 1998. From this early start, entrepreneurism, training and talent development was in his blood. Brian went on to launch two successful small businesses and worked in roles with increasing responsibility and complexity. His most recent work has been performed with leading financial, telecommunication, DOD and government contracting firms to gain critical CyberSecurity skills meeting the stringent DOD compliance requirements for Information Assurance staff. Prior to this, he worked with the biggest names in healthcare ensuring successfully trained and skilled field sales forces working on project teams of contractors during national sales meetings, POA meetings and for product launches. He led teams building new technologies, training thousands of field sales experts through interactive, gamified and mobile learning systems. Working in an agency world of highly skilled contractors, Brian honed his skills as a project manager, recruiter, business analyst and built a network of the best resources while he attended Villanova's Master Certificate in PM and ITIL. Brian considers himself a talent development and learning generalist who leverages years of experience to help his clients succeed. This experience combined with a keen eye on talent development and business strategy helps companies thrive in a competitive environment. 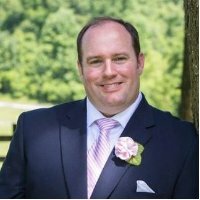 327 Solutions, Inc. was founded by Brian and provides staffing elasticity to talent development teams, learning systems design/build and expert facilitators.